I don’t know a dang thing about reggae or Jimmy Cliff, but I know I like this album. I knew I liked it within just a few seconds of hearing it. Can someone else like me who doesn’t know a thing about reggae or Jimmy Cliff really enjoy an album like this the way that I do? Yes. But why? “Reggae music gonna make me feel good / reggae music gonna make me feel alright now” (“Reggae Music”) – if you’ve ever felt a little down and out (and haven’t we all?) the bouncy shuffle of a reggae beat can pick up your mood, and can do so regardless of what the lyrics say. The first track “World Upside Down” name checks war, poverty, prosperity, morality, injustice, religious hypocrisy, political tyranny, crime, violence, starvation, ecological calamity, economic instability, sanity, vanity, and love, love, love, love, love, love, love – but still made me feel like I was at a party. You get the message and you get to party at the same time. Whether Cliff is singing/speaking in a clear and sincere style (“World Upside Down”) baring his falsetto soul (“Cry No More”) or channeling James Brown (the intro to “Bang”) he sounds like a man half his age and its fun to hear him work through these songs, songs that clearly share a certain reggaeness but are all different enough to keep things interesting and to expose to even the uninitiated reggae listener what strong ties and influences this musical style shares with rock, pop, soul, gospel, rap, hip hop, and R&B. Get your reggae on, and no matter what’s going on, your world should get a little brighter. 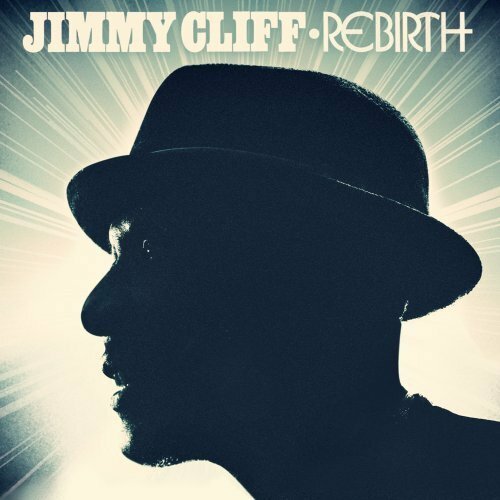 This entry was posted in Album Reviews, You Tube Song Samples and tagged Album Reviews, Jimmy Cliff, Rebirth, World Upside Down, You Tube Song Samples on July 28, 2012 by Constant Listener.